2012 Dodge Ram 3500 Laramie Cummins Turbo Diesel MEGA CAB 4WD !!! Not a truck to overlook, only 95,900 mi., beautiful inside and out, all the bells and whistles, drives like a brand new truck, Powerful, heavy duty, and luxurious! 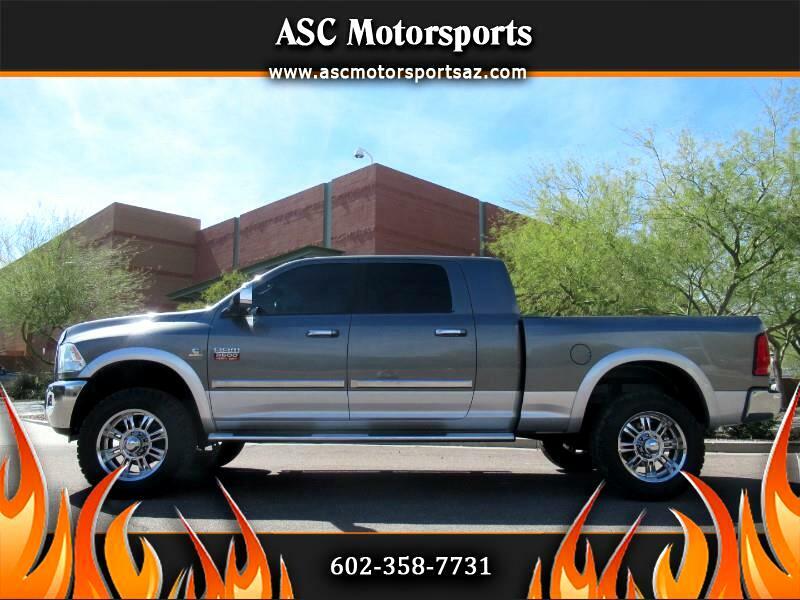 Oversized BF GOODRICH tires w great tread, 20'' chrome wheels, moonroof, leather, Power seats, windows, locks, and mirrors. Ice cold A/C, fast heating, HEATED SEATS, running boards, bed liner, Tow package, Tinted windows, tilt wheel, cruise control, parking sensors, BACKUP camera, AM/FM CD, Touchscreen, NAVIGATION, Handsfree wireless telephone/Bluetooth, Front split bench middle seat, spacious Megacab Second row & folding seats, come put your eyes on it for more!! Priced at only $39,888 + Tax, Title & Doc. Fees!!!! ?Financing~ ASC Motorsports is an approved credit union direct lender with 40 participating banks covering the entire united states, rates starting at 2.9% (O.A.C.). ?Out of town buyers ~ We can assist with shipping to your door or pick you up from skyharbor international airport!